About 2.8 million Arizonans have pre-existing conditions, according to the Department of Health and Human Services. Sinema noted that without this protection under the Affordable Care Act, also known as Obamacare, many Arizonans would not be able to get insurance. In the Senate, she said, she would prevent attempts to strip away these benefits. As a congresswoman, Sinema said, she supported finding reductions in the cost of prescription drugs and medical care. Efforts to privatize Medicare and Social Security. The congresswoman noted that most older Arizonans rely on these programs, and she fears that privatization would jeopardize the benefits many Arizonans depend on. She has advocated for a number of bills to improve veterans’ health care, including the VA Mission Act of 2018, which she co-sponsored. It passed in June. What in your past work, political or volunteer experience makes you a better person to hold this office? 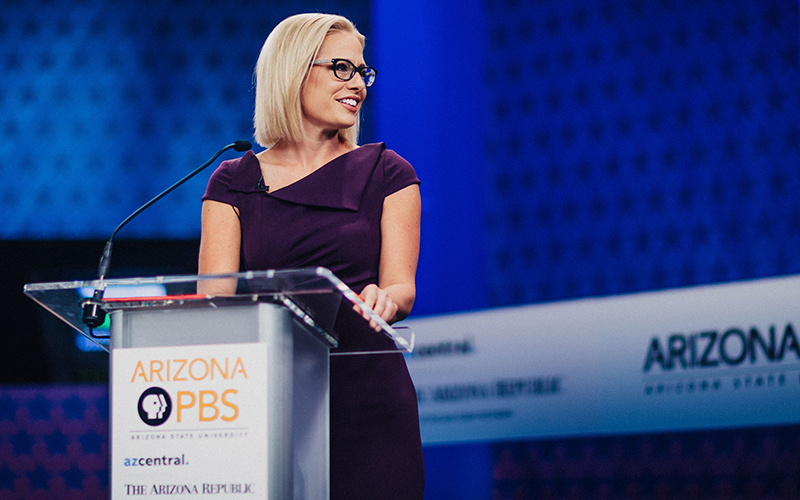 Sinema, who was born in Tucson, mentioned her experience representing Arizonans at the state level as well as nationally. She said she is well-known throughout the state because of her work in the Legislature, where she served in both the House and Senate from 2004 to 2012 before resigning to run for Congress. Before her life in politics, Sinema was a social worker and a legal advocate. She holds four advanced degrees from Arizona State University, including a law degree and a Ph.D. in social work, and has been a lecturer at the university for the past 16 years, teaching courses in development, public policy and social work. “The best way to represent your constituency is to take the time to listen to them and spend less time talking,” Sinema said. She credits her former state legislative colleague, Rep. Ken Cheuvront, with this advice. Sinema pointed to her calendar app, saying she prides herself on being extremely organized. “The Number 1 piece of advice I give to my students, the first day of class, is to become more organized and to calendar their time,” Sinema said. She credits her calendar for her high level of productivity. She received her MBA from ASU in May all while serving in Congress and teaching courses online. 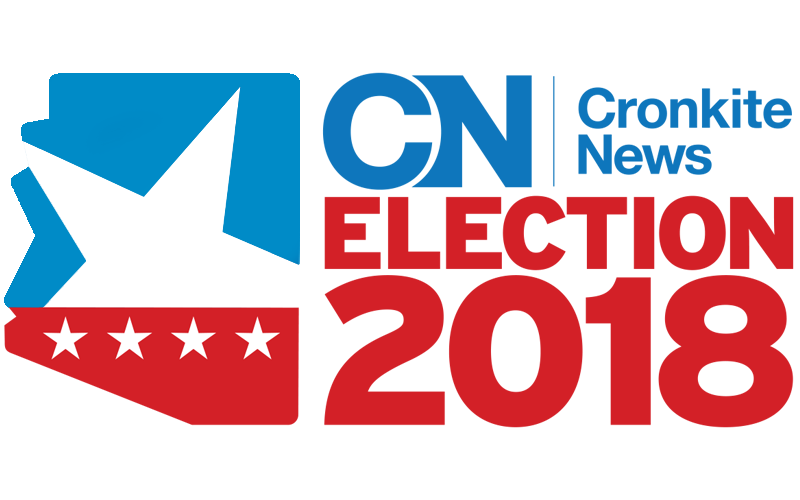 Sinema urged college students to turn out to vote. Campaign website for Kyrsten Sinema.